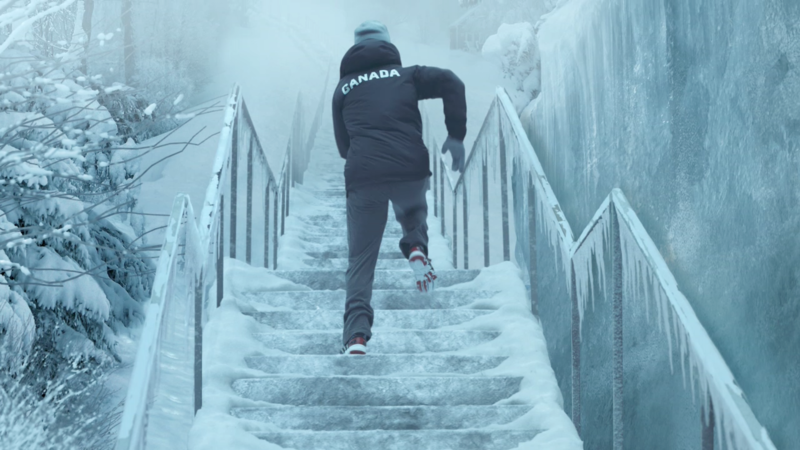 Mill+ and Sid Lee Toronto joined forces to create 'Ice World 1' for Adidas and Sport Chek. The guys atIntrigue-FX provided some great practical ice and snow elements for the foreground, which worked really well as a starting point for the VFX work. Lead 2D Artist Westley Sarokin notes, "Adidas is a perfect example of what can be created when every aspect of client interaction, production, and VFX all come together perfectly. Shooting the scenes in practical environments with natural lighting rather than in a studio on greenscreen ensured that all the performances looked real. Using a combination of CG environments, matte paintings, and atmospheric elements, the world we created looks fantastic but believable, with just the right amount of naturalistic art direction that allowed the films really come together."